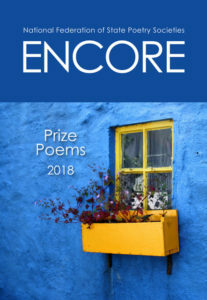 The 2018 Encore from the National Federation of State Poetry Societies is available now at Amazon. Look for winning poems by OPA’s very own President, Lisa Baldwin! Winners also listed on NFSPS’ website.